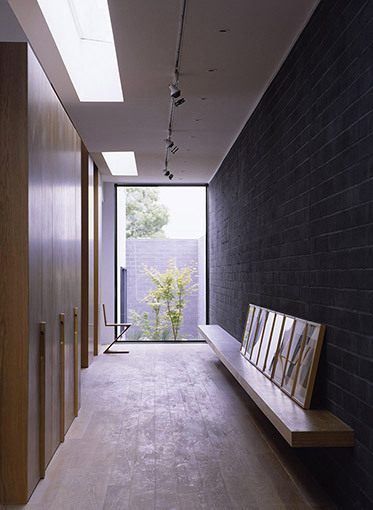 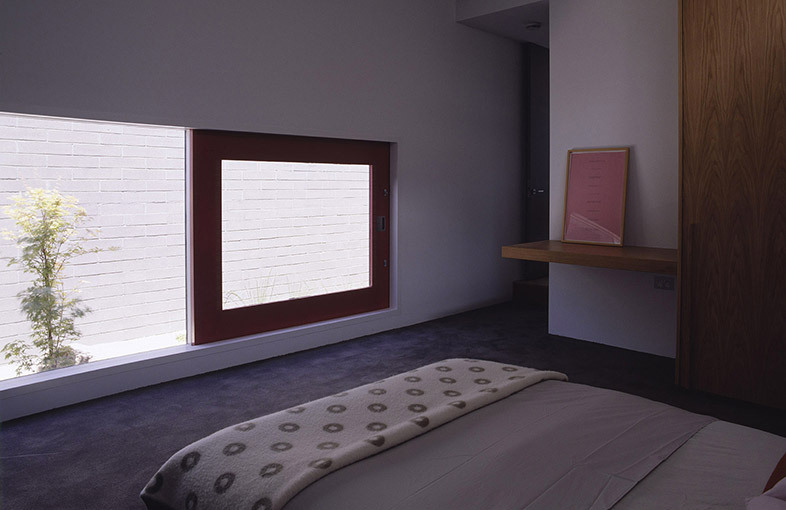 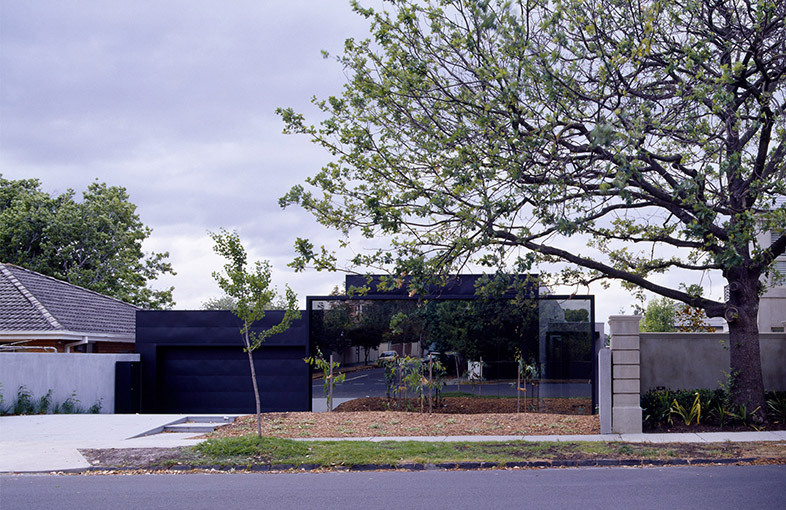 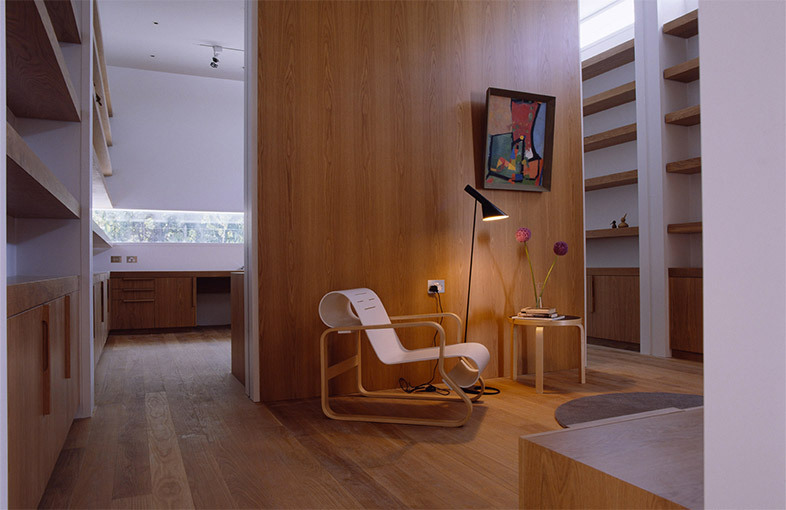 This is a small, simple house located in inner city Melbourne for an art collecting couple. 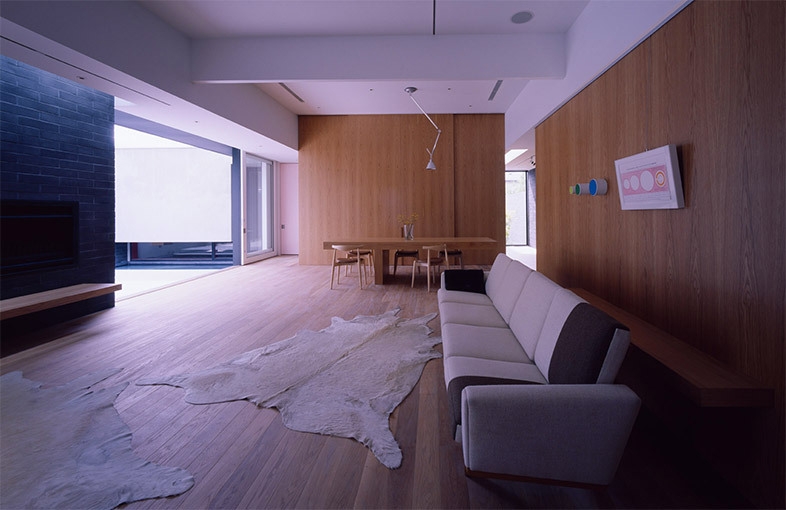 The house belongs to the courtyard type where the building engages substantially with the boundaries of the site to create several courtyards. 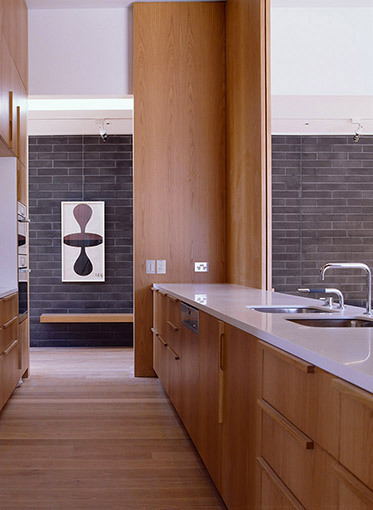 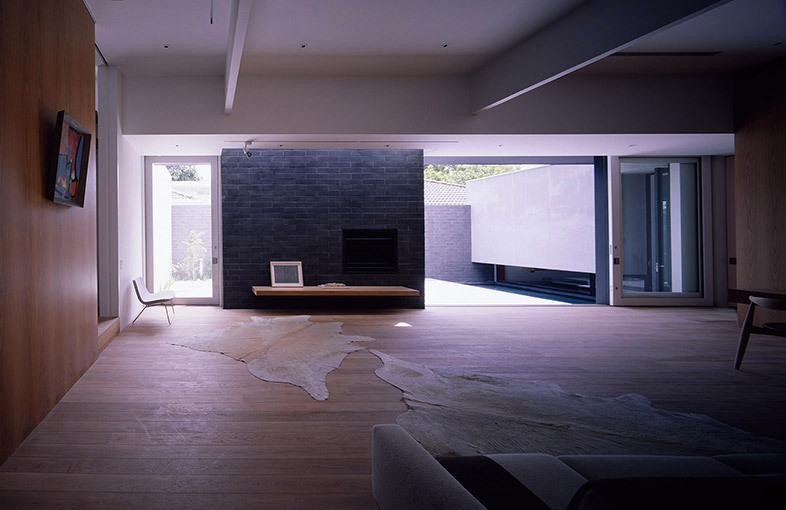 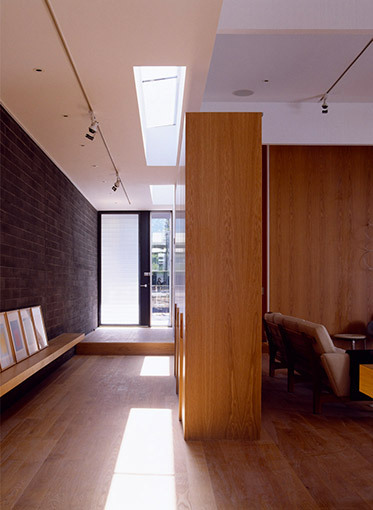 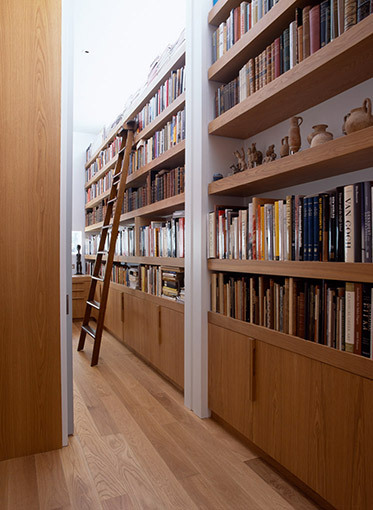 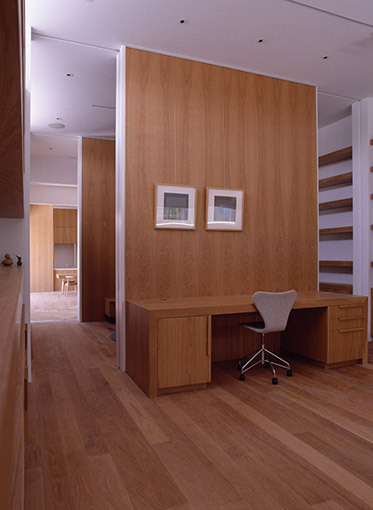 Through its planning, the house offers privacy, introspection and security. 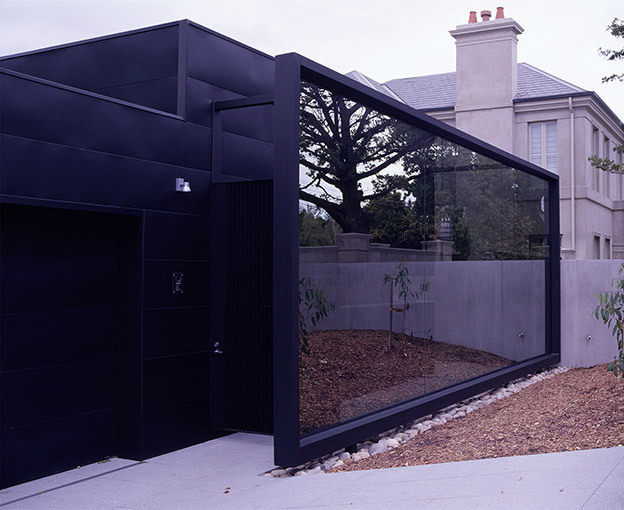 Through its front open garden, framed by a large screen made of dark reflective glass, the house reluctantly speaks of inhabitation but reveals glimpses of life within and opens itself to the world beyond.